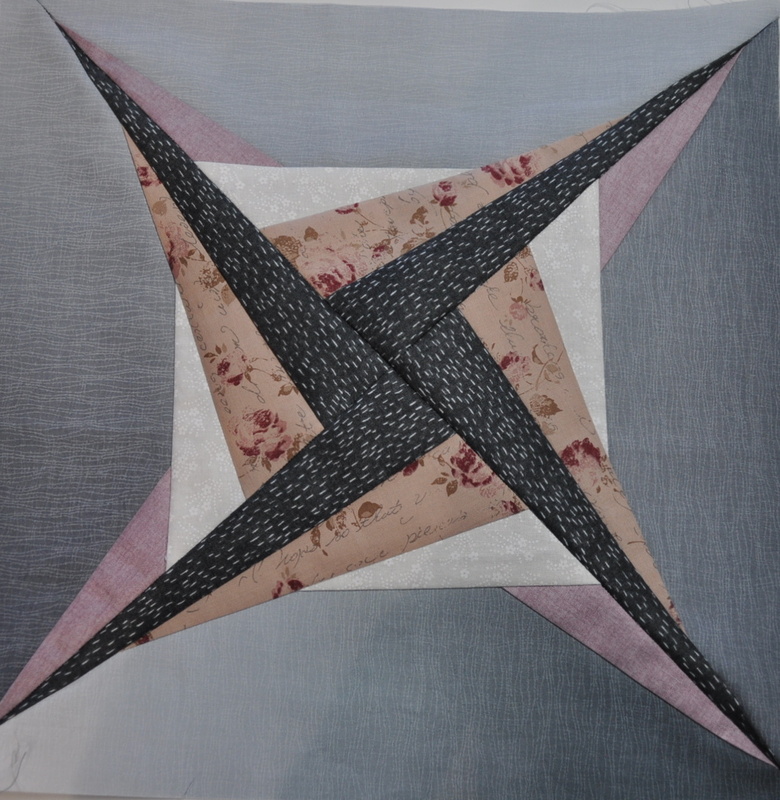 On a side note, if you think paper piecing is wasteful of fabric – what about dressmaking? I can’t believe how much goes in the bin and most of it’s no good for scrappy stuff being too thick or thin or whatever. 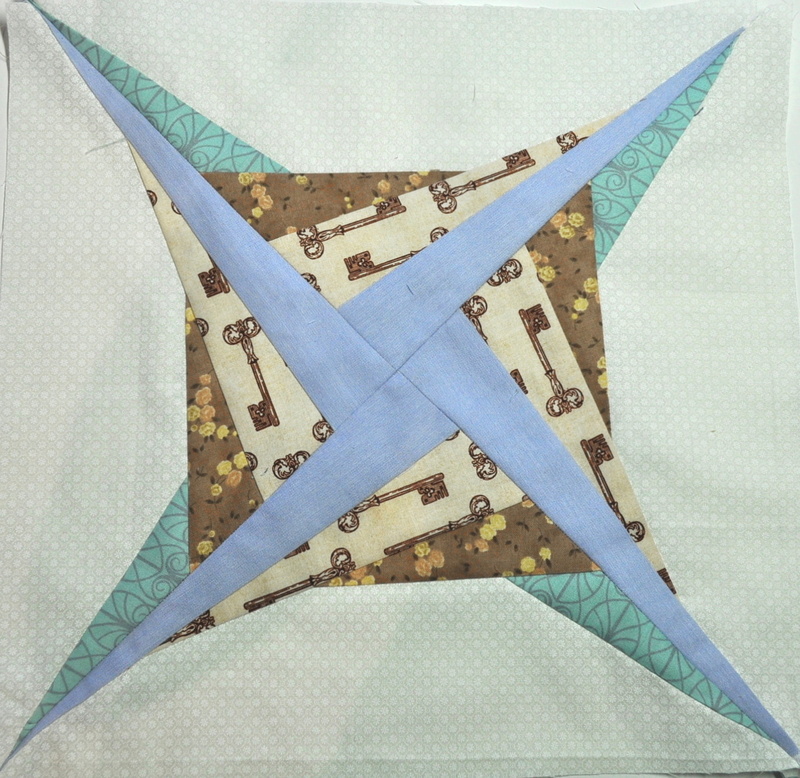 Anyway, I have adopted a paper piecing pattern called Zeppelin which you can find on Craftsy here as a free downloadable PDF. It doesn’t have too many pieces which is good when you have to make quite a few of them and I like the clean lines and contemporary look of it. 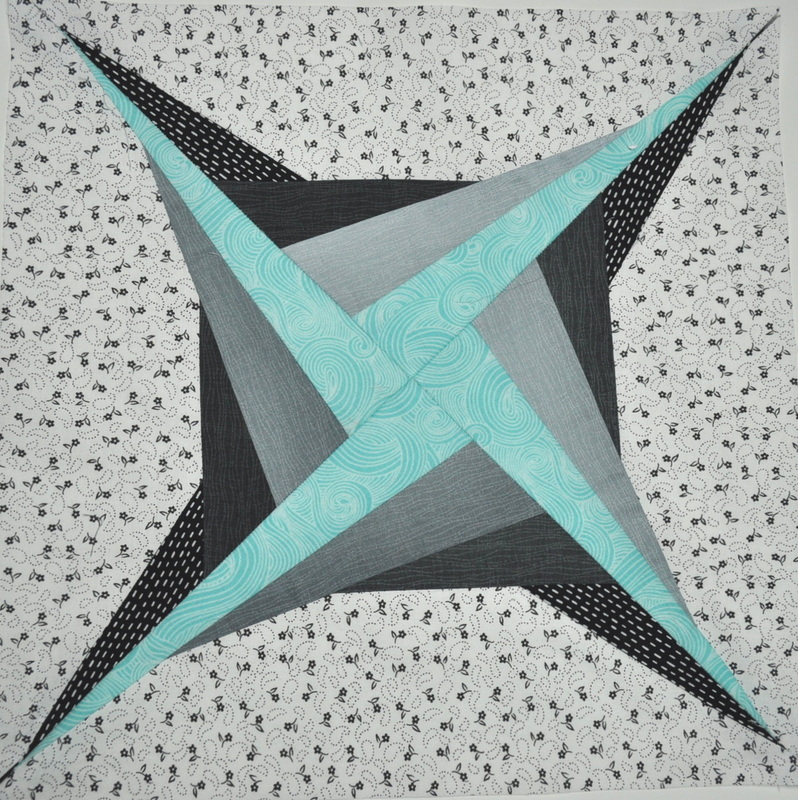 I started in July with Claire’s colours of turquoise, grey, black and white. Then, in September, Nanette’s colour choices were blue and blush pink. 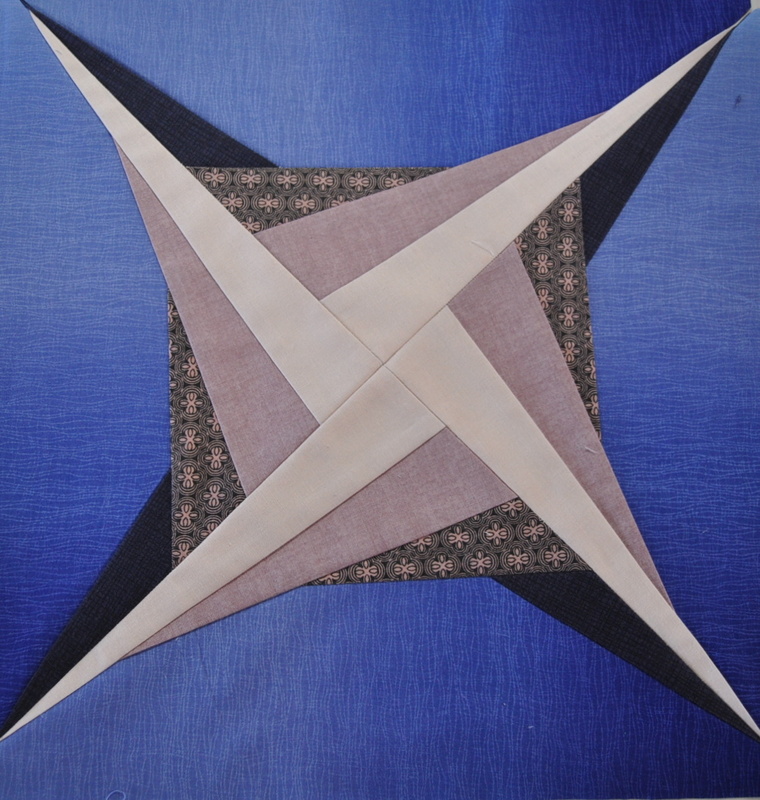 I parted with some of my precious ombre fabric for this one. Moira chose browns and creams with duck egg blue as a highlight in October. Earlier on in the swap, I was ‘Miss June’ and later made one in my own neutral(ish) palette of greys, creams, and vintage pink. I still need to make one in Sue’s colours – I missed making a ‘Sue Zeppelin’ in July. 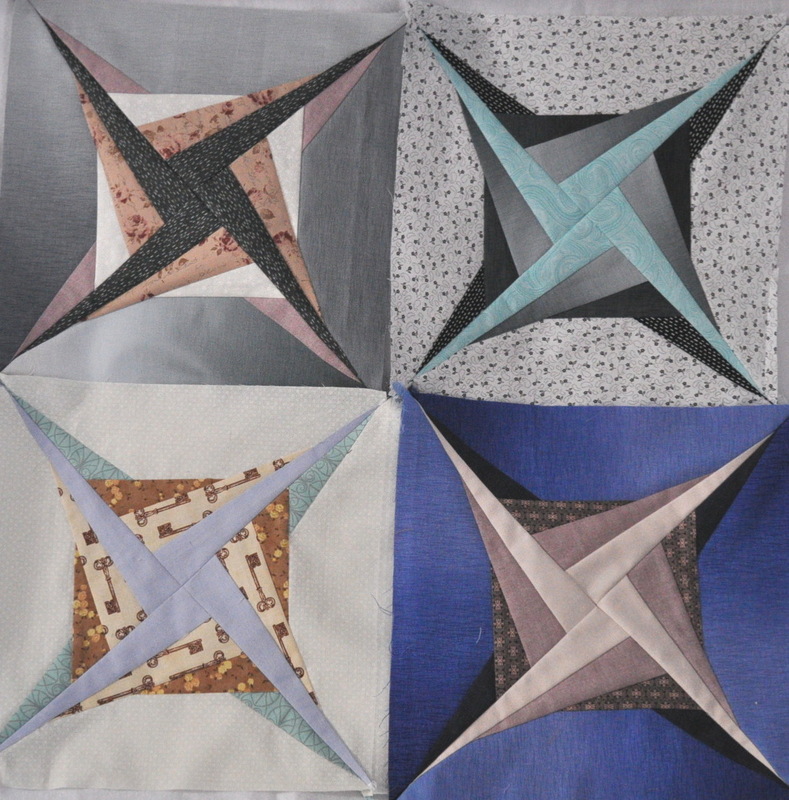 Her choices were similar to Nanette’s but with white instead of blush pink to go with the blues but, eventually, once I have a Zeppelin in all nine participants’ colours, they will make a small quilt or throw which will be quite a nice souvenir of the 2018/2019 block swap. The four scrappyish Zeppelin blocks so far flung against my design wall. I say, ‘design wall’ though it is just a flannelette sheet held in place by books on my bookshelf – but you get my drift. Wondering what ScrapHappy is? Have a look on Kate’s blog here and join us once a month – or less if you can’t come up with a duplicitous way round it like me – well, let’s call it a ‘compromise’.